Video: Some animals are born with natural camouflage that allows them to hide in their native habitats. But what happens when the ebb and flow of the daily tides is constantly changing your home turf? 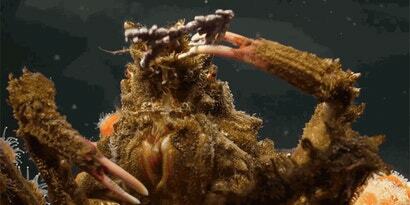 If you're the decorator crab, you simply grab whatever sea plants you can find and use them to disguise yourself.